Happy Monday Loves! It feels like Fall here in Mobile and I am breaking out some old and new favorites. This look is pretty similar to most of my favorite Fall looks that will be in heavy rotation the next few months. 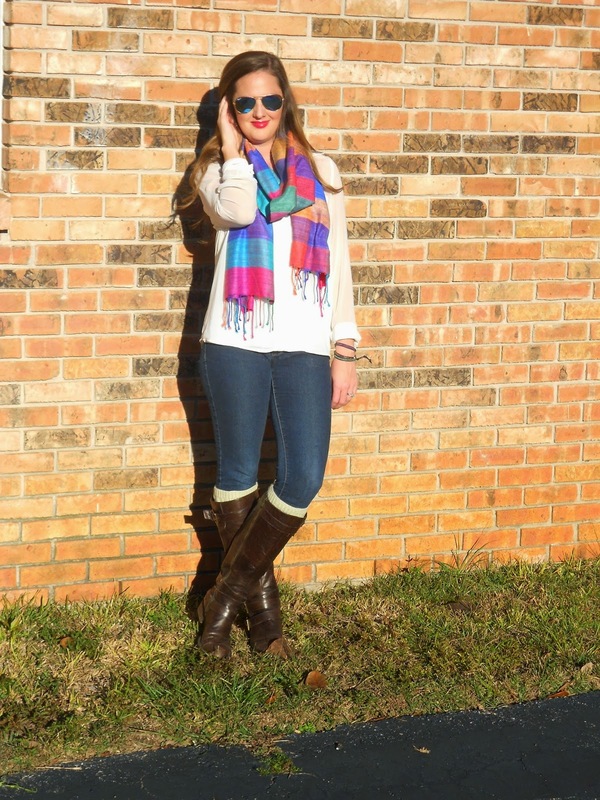 A cute blouse, jeans, boots, and a nice cozy scarf. 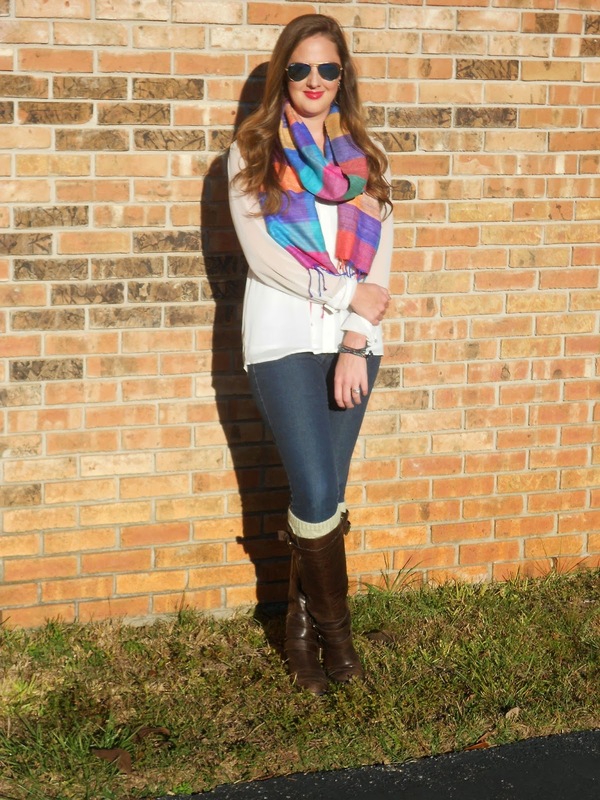 The scarf and jewelry are some new pieces from the Noonday Collection. I was lucky enough to have the opportunity to try out some of their fab pieces. Another post featuring some gorgeous jewels coming soon. If you haven't heard of Noonday check out their story here. Every piece sold goes to help women that have been abandoned in Ethiopia, to create business opportunities for Ugandans, and empowers communities in Ecuador. It is rare to find such beautiful pieces with such amazing stories that go with them. I spent about an hour crying over the inspiring videos and stories on their website. Truly inspirational. I seriously want every single piece of jewelry on their site. It is insanely gorgeous and for a good cause. A great place to do some Holiday shopping and give back at the same time. This gorgeous scarf I am wearing is handwoven silk from India. I am in love with it.